We provide the automatic positioning tool which the SMOS team asked for to complete their SMOS FOS software. To operate the satellite and use MIRAS’ observations the data flow must be completed. This starts with CNES’s (French National Centre for Space Studies) Satellite Operations Ground Segment (SOGS) in Toulouse sending the proper commands to successfully operate the satellite. 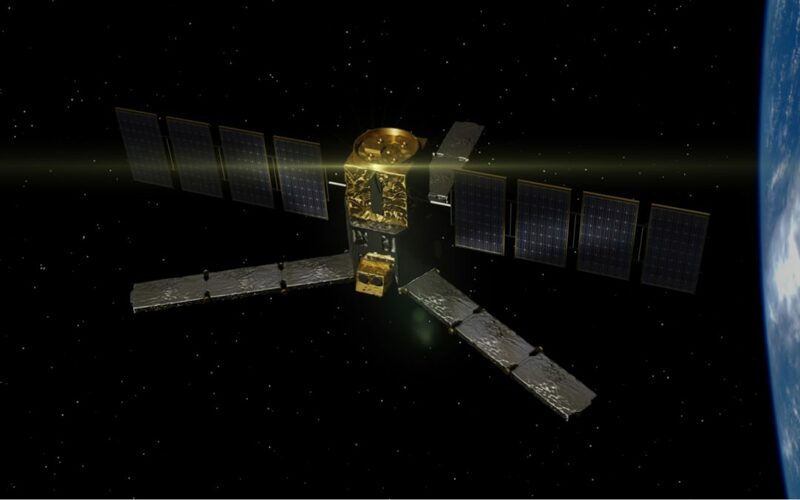 While the satellite is properly functioning it uses its antennas to send telemetry information and MIRAS’s data to ground antennas at ESAC (European Space Astronomy Centre) in Spain and SvalSat (Svalbard Satellite Station) in Norway. This information is gathered up at the Data Processing Ground Segment (DPGS) at ESAC where it’s processed and distributed. Of course, the whole data flow works using 0’s & 1’s binary code, so much additional software and some user interfaces are needed for the SMOS team to operate the satellite, process and interpret the observations’ data and manage the whole SMOS project. SMOS FOS (Flight Operations Segment) software is used at SOGS & DPGS for these purposes. On request of the SMOS team, we have collaborated to this software by, among other things, creating an automatic positioning tool. 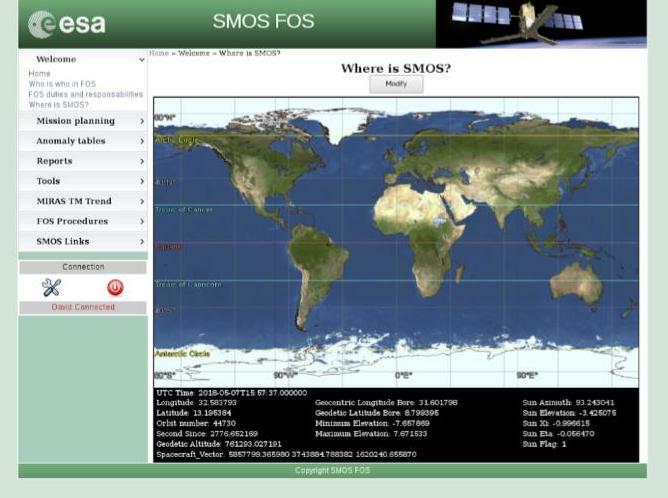 This tool, labeled “Where is SMOS?” shows in nearly real time, together with many other data, the position of the satellite in the globe. This is crucial, for example, to know in each moment to what antenna should the satellite be transmitting to and to be able to check that it is doing so.